From In Your Own Sweet Time, out March 9 on Cooking Vinyl. The Fratellis were one of those bands that nobody took seriously when they released their debut album, Costello Music, but I really liked it. They were a major label band with a song in an iPod ad. It didn’t help, of course, when the Chicago Blackhawks adopted “Chelsea Dagger” as their goal song during their Stanley Cup run in 2010. A bit uncool, yeah? Still. You gotta love bands from Scotland, and it’s a good album whether or not a bunch of mooky hockey fans sing along with the chorus of a song that may or may not be about falling in love with transvestite prostitute drug addict. Subversive! I saw them at Lollapalooza 2007 and they were great, and I bought their second album, Here We Stand, when it came out and then stopped paying attention. Apparently, they took a little break after that but have been fairly active again since 2013. 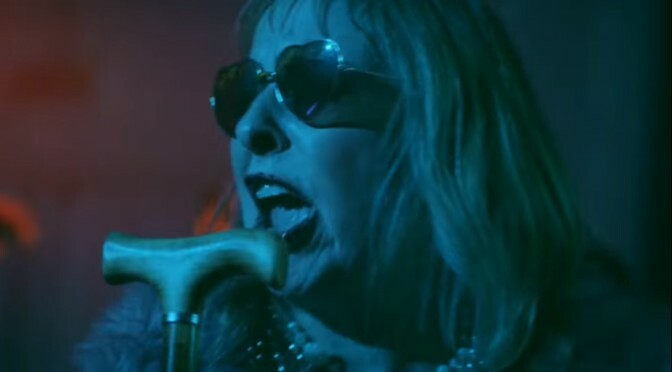 The new song is a disco-inspired jam with “Sympathy for the Devil” woo-ooos and the video is a charming romp through a senior center. We’re all older today than we’ve ever been (and now we’re even older…), and I hope that in twenty years I’m having us much fun as the oldsters in this video. Fratellis: web, twitter, amazon, apple, spotify, wiki. From Here We Stand, 2008.